La Tee Da Thai Dee! 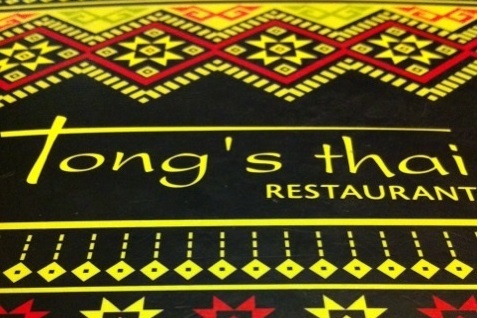 After our so-so experience at Tong’s Thai, I asked some of J’s coworkers about their favorite Thai food in San Antonio. The answer was a resounding, “Go to Thai Dee!” And, I was craving rice noodles again… so off we went to Thai Dee. The restaurant is in a tiny, old strip mall next to a convenience store. 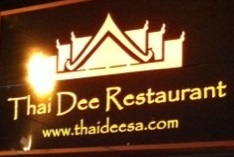 Little did we know that Thai Dee is a hidden little gem! Did you ever wake up one day and think, “Gee, I’d really like some bubble tea, sushi and a nice bowl of pad thai?” If you answered yes, then Tong’s Thai is the place for you. Tong’s was recommended to us by J’s little brother, a UTSA alum.